Finland secured a spot in the quarter-finals by dumping winless Slovakia at the Save-On-Foods Memorial Centre, while Switzerland defeated Denmark 4-0. Sweden just keeps finding ways to win in preliminary-round play at the world junior hockey championship. Adam Boqvist's goal at 3:51 in overtime gave Sweden a 5-4 win over the United States after the Americans rallied from a 4-0 deficit on Saturday night. 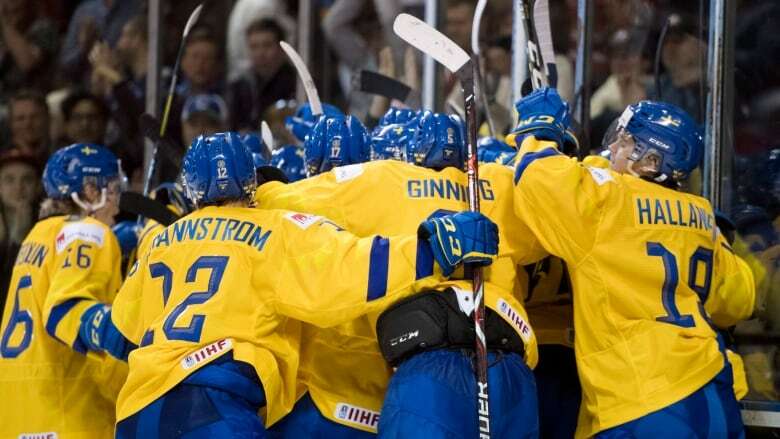 It was Sweden's 47th win in a row in preliminary-round play at the world juniors. It came after the Americans (2-0-1-0) scored four goals in the final 10:26 of the third period, with the last three all coming from Montreal Canadiens prospect Ryan Poehling. The Americans were missing star forward Jack Hughes for the second straight game with an undisclosed injury. Filip Westerlund, Rickard Hugg, Emil Bemstrom and Erik Brannstrom scored for Sweden (2-1-0-0) during regulation at the Save-On-Foods Memorial Centre. Sweden, which won silver last year, can clinch first in Group B with a win against Kazakhstan on Monday. The Americans, reigning bronze medallists, face Finland on Monday. Finland (2-0-0-1) secured a spot in the quarter-finals by dumping winless Slovakia (0-0-0-3) at the Save-On-Foods Memorial Centre. Henri Jokiharju, Santeri Virtanen, Ville Heinola, Anton Lundell and Oskari Laaksonen scored for the Finns. The Finns faces the Americans in the Group B round-robin finale for both teams on Monday. Slovakia faces winless Kazakhstan on Sunday with the loser likely headed to the relegation round. Later Saturday, Sweden meets the United States in Victoria. Philipp Kurashev had a hat trick as Switzerland clinched a spot in the world junior hockey championship quarterfinals with a 4-0 win over Denmark on Saturday at Rogers Arena. The Chicago Blackhawks prospect has five goals in three games for Switzerland (1-0-1-1). Simon Le Coultre, a defenceman with the Quebec Major Junior Hockey League's Moncton Wildcats, also scored for the Swiss, while goalie Luca Hollenstein notched the shutout. Denmark (0-0-0-3) hasn't scored a goal at the tournament and has been outscored a combined 22-0. The Danes wrap up the round-robin against the Czech Republic on Monday, while Switzerland faces Russia on Sunday.